“You know,” said he, “my brethren, my disinterestedness; I do not sacrifice my belief to any vile interest. If I embraced a profession so directly opposed to my sentiments, it was not through cupidity. I obeyed my parents. I would have preferred to enlighten you sooner if I could have done it safely. You are witnesses to what I assert. I have not disgraced my ministry by exacting the requitals, which are a part of it. Earlier, I commented about how miserable Meslier must have been – now you can read his own words. Regarding his accusation that “my parents made me do it”: Meslier is probably referring to the ancien regime practice of disposing of sons. The first son, being the heir, was kept close to the family and raised to take over the family business. The second son, the spare heir, would go into the military, and the third into the clergy. Also, being in the clergy was not a “calling” as it is in protestant America – roles in the church were for sale and were part of a great family’s investment and growth plans. 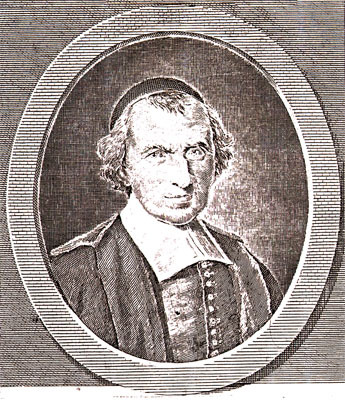 For example, you have Armand DuPlessis (known as “Richelieu”) who was raised to be a soldier, went to military school to pursue the profession of arms, but, when his family was granted a bishopric as a “thank you” from king Henry III, the family tapped young Armand for the job (and pocketed the substantial revenues that came with the post!) 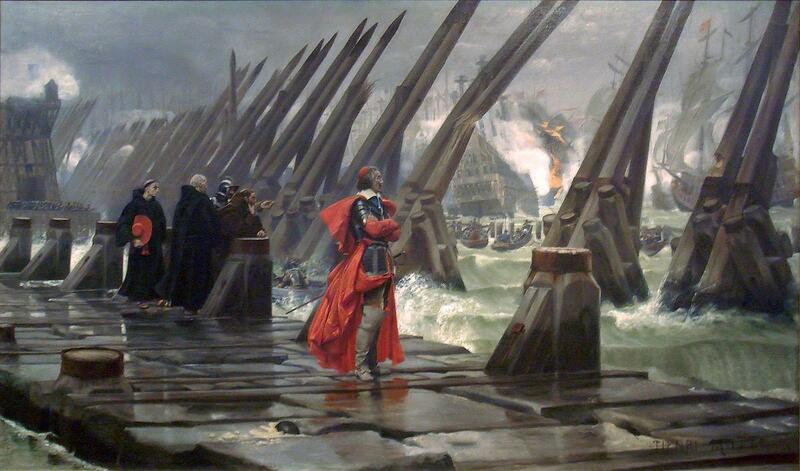 – he was a fascinating historical character, the warrior-cardinal. When I was a kid, I loved the painting above (for its colors, composition, complexity!) when I saw it at the Musee Des Invalides where it has hung my entire life. He really did dress like that, too: he went out in his cardinal’s robes with armor over them, quite the target.